In Catherine Lowell’s smart and original debut novel—“an enjoyable academic romp that successfully combines romance and intrigue” (Publishers Weekly)—the only remaining descendant of the Brontë family embarks on a modern-day literary treasure hunt to find the family’s long-rumored secret estate, using only the clues her father left behind and the Brontës’ own novels. Samantha Whipple is used to stirring up speculation wherever she goes. Since her eccentric father’s untimely death, she is the presumed heir to a long-rumored trove of diaries, paintings, letters, and early novel drafts passed down from the Brontë family—a hidden fortune never revealed to anyone outside of the family, but endlessly speculated about by Brontë scholars and fanatics. Samantha, however, has never seen this alleged estate and for all she knows, it’s just as fictional as Jane Eyre or Wuthering Heights. 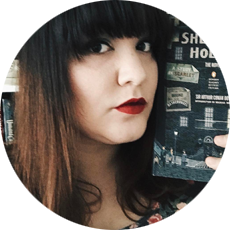 But everything changes when Samantha enrolls at Oxford University and long lost objects from the past begin rematerializing in her life, beginning with an old novel annotated in her father’s handwriting. With the help of a handsome but inscrutable professor, Samantha plunges into a vast literary mystery and an untold family legacy, one that can only be solved by decoding the clues hidden within the Brontës’ own works. A fast-paced adventure from start to finish, The Madwoman Upstairs is a smart and original novel and a moving exploration of what happens when the greatest truth is, in fact, fiction. This was not an office. It was a small library, two stories high, with thin ladders and impractical balconies and an expensive ceiling featuring a gaggle of naked Greeks. It was the sort of library you’d marry a man for. Catherine Lowell’s The Madwoman Upstairs has been on my radar for a while, and when BookSparks sent me a copy of this book and a lovely Penguin English Classics edition of Jane Eyre to celebrate Charlotte Brontë’s birthday, I was super excited to finally read it. I mean, how could I not? It’s about the last descendant of the Brontë family and the discoveries and revelations the main character has along the way. The Madwoman Upstairs is literally a literary treat to me. In some ways, it reminded me of a light-hearted, quirky version of A.S. Byatt’s Possession, and I adored reading it. The narrator has such a great voice, and I thought Lowell captured the voice of a young, headstrong, stubborn woman thrown headfirst into a world she has been trying to avoid since her father’s death. But as it happens, it’s entirely difficult to leave the past in the past, and inevitably it will come back to you. Generally, when one thinks of the Brontë family, one might think of Charlotte or Emily before thinking of Anne, so I liked the twist of Anne being more of the focus of this treasure hunt Samantha Whipple goes on after receiving a strange little bookmark from her father’s papers. 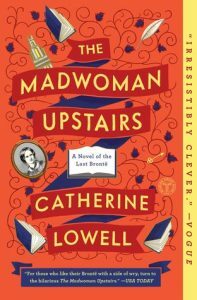 The Madwoman Upstairs is very much a fun campus novel with twists of romantic comedy and literary intrigue, and it was an enjoyable read from start to finish! I received a copy of this book from Book Sparks and the publisher for review. All opinions are my own.